Part 2 of All’s Well and Fair II (2006 version) features the song with which the three single punk moms won a local F*** The Government song contest. 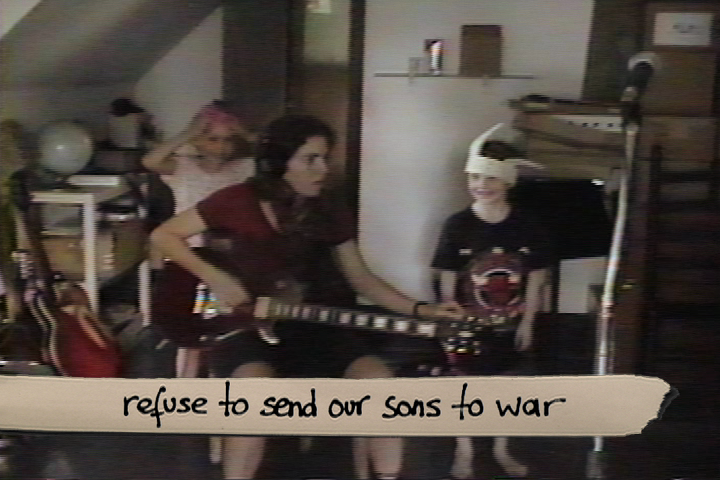 All’s Well and Fair II juxtaposes the lives and ideals of 3 single punk rock moms during the 1990s with their realities and opinions ten years later – giving a unique perspective on alternative culture, growth and identity. Please let us know what you think… or just answer the question for this episode: Has any song ever inspired you to action? If so, which one? Or how about a film or a book? I find tons of inspiration through music. Sad to say, I haven’t necessarily been compelled to a direct action from a song. Having said that, I’m sure I made a drink or two due to Tom Waits. Seriously, I did write a short story inspired by Nick Cave’s song, “Where Do We Go Now But Nowhere?” from The Boatman’s Call album. Which in turn, inspired a friend to shoot a short film based on my story.